The turkey needs baking, the potatoes need mashing, and the pumpkin pie needs filling. Yes, it’s Thanksgiving once again. While Thanksgiving Day is very busy itself, the entire week leading up to it can be just as crazy. That’s because Thanksgiving week is one of the busiest travel periods of the year. Before you head out to spend time with family, make sure you check what Mother Nature has in store for you travel areas. 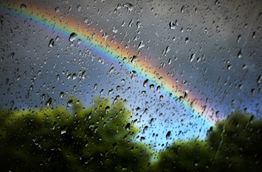 Keep reading to see what our meteorologists are expecting. 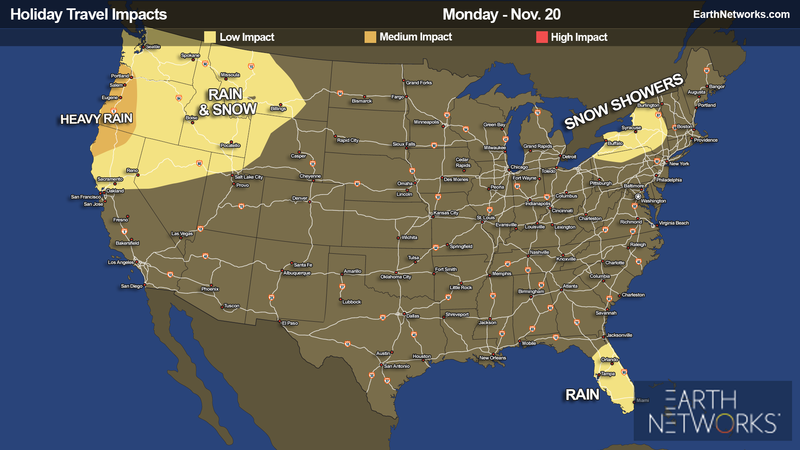 The Northwest will win the award for most active weather on Monday. Heavy rain will stretch from the northern coast of California to southern Washington along Interstate 5. Snow will fall in the northern Rockies. Likewise, a few lake-effect snow showers will make for trouble along Interstates 86 and 90 in Upstate New York. There, strong winds might create localized white-out conditions. For those making an early getaway across most of the rest of the country, the only travel concern will be sun glare. Make sure you pack some sunglasses and your favorite road trip tunes! Here are some songs about clouds to get you started. 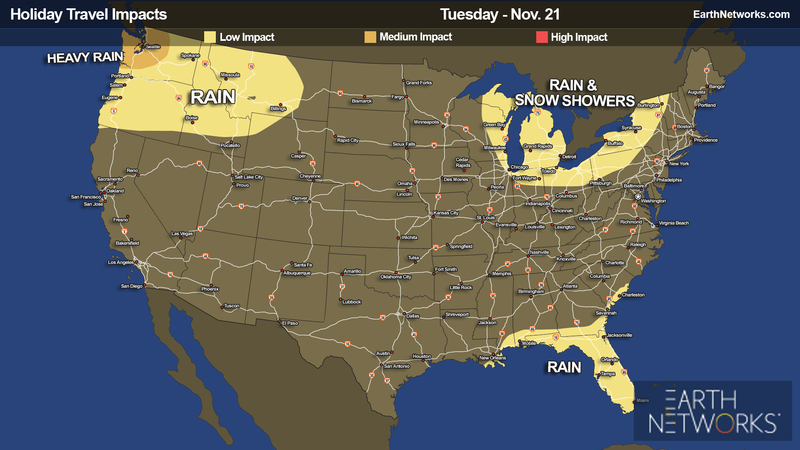 The soggy weather continues for the Northwest on Tuesday, with the heaviest rain shifting north into Washington, with another low pressure system sliding into the northern Plains. Some late-day snow showers from Chicago to Detroit and Cleveland are on the menu, as well. Travelers along Interstate 90 or flying through SeaTac or Minneapolis may need to prepare for some delays and bitter cold highs in the 20s. Be sure to keep the hot cocoa on tap. At the same time, Florida will have showers and a few storms. The storms could make for brief delays in Miami, Fort Lauderdale and Orlando, but shouldn’t prevent you from getting to Grandma’s. 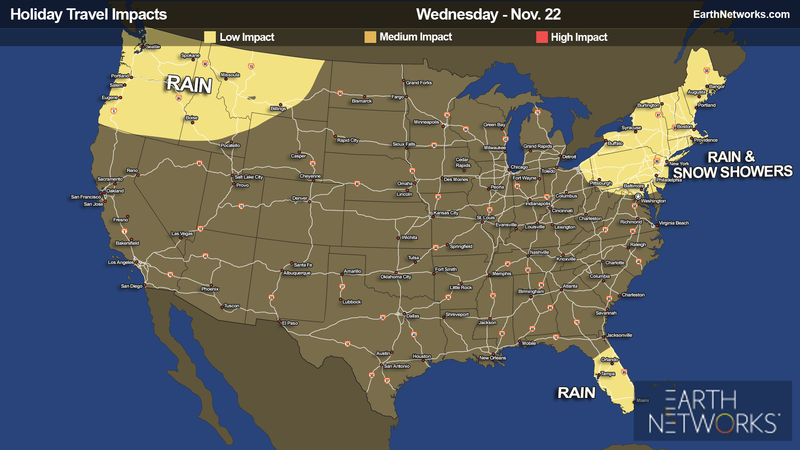 The rainy weather will continue along the Interstate 5 corridor on Wednesday. Fortunately, the heaviest rain looks to be west of the major highways, but it will still be a slow go from southern Oregon to Washington. Another storm system creeping off the East Coast could make for some travel trouble for the busiest travel day of the year from the Mid-Atlantic to New England. The coastal storm could bring steady rainfall to the Interstate 95 corridor starting in the morning from south to north, with interior areas even seeing a mix to some snow. A better chance for accumulating snow will be across western Pennsylvania and upstate New York, including Pittsburgh. A chance for wintry weather will show up in the northern Plains through the upper Mississippi Valley on Wednesday. Possible flurries and sprinkles of rain will reach from the Dakotas into Wisconsin during the late-morning and into late-evening with chilly highs in the 20s and 30s making for a big coat-worthy travel day. For those making a last-minute jaunt on Thanksgiving, the only major travel trouble spot looks to be in the Pacific Northwest. Rain showers will be found in Seattle and Portland, with snow possible across the passes. Another storm system will make for a bit of travel trouble in south Florida, with a few showers likely to give the wipers a workout. Otherwise, taking the old jalopy over the river and through the woods looks to be pretty good from California to the Eastern Seaboard, with few if any major concerns anticipated. 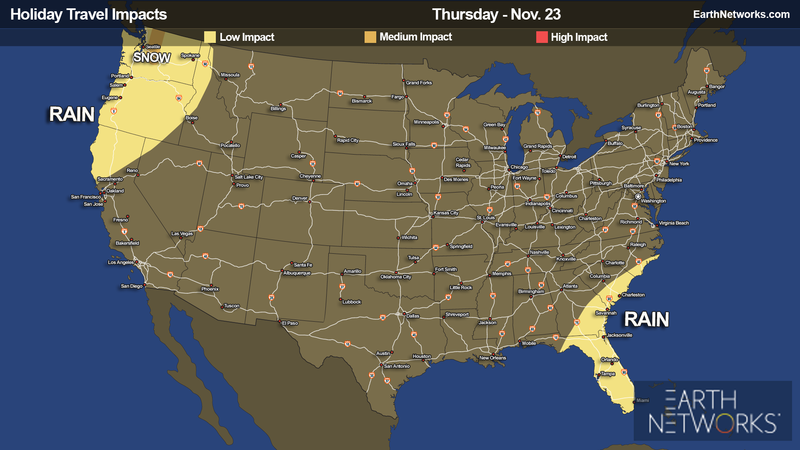 Travelers through Florida may have to keep an umbrella handy, however. 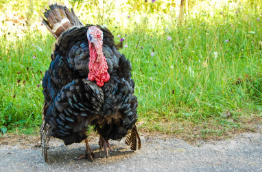 Whether you’re staying local or headed half-way across the country, the team at Earth Networks wishes you and yours a very happy Thanksgiving. Be together, be merry, and most importantly, be safe!